£75 Sorry - now sold! 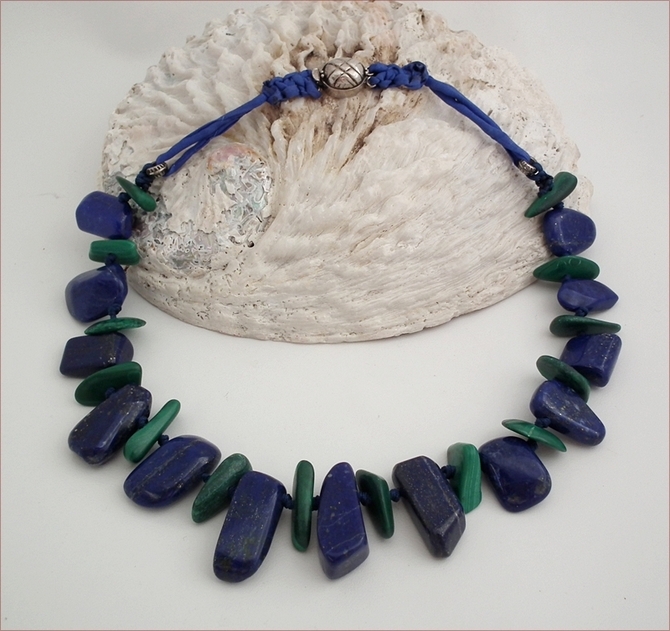 I've knotted between the malachite and lapis stones and suspended them from a couple of Bali sterling silver tyre beads on silk. The clasp is a vintage sterling silver box clasp I found at a bead fair (it is stamped 92.5 on the back and looks Indian to me). 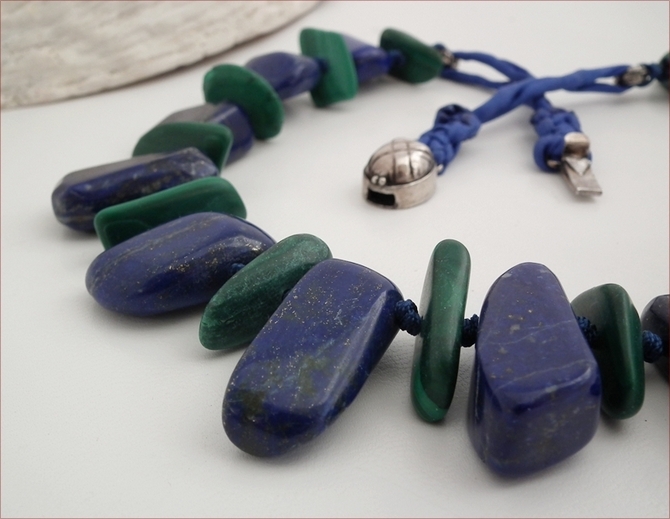 The silk straps have been braided onto the clasp and secured with jewellers cement. 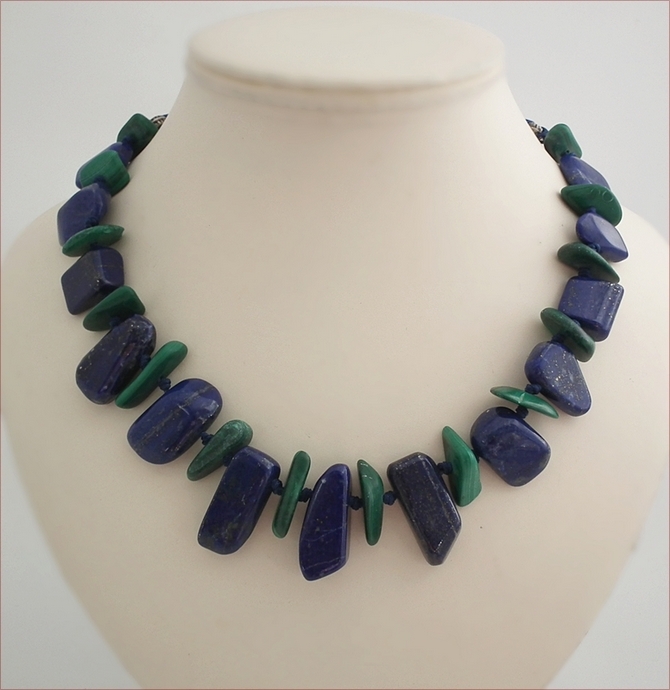 I love the arty-ness of this necklace - and the superb colours of course. 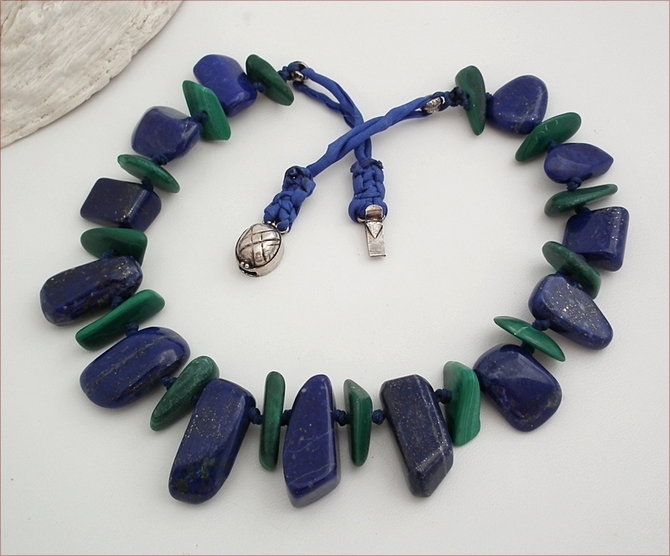 Both the lapis and malachite display the very best of their colours here. 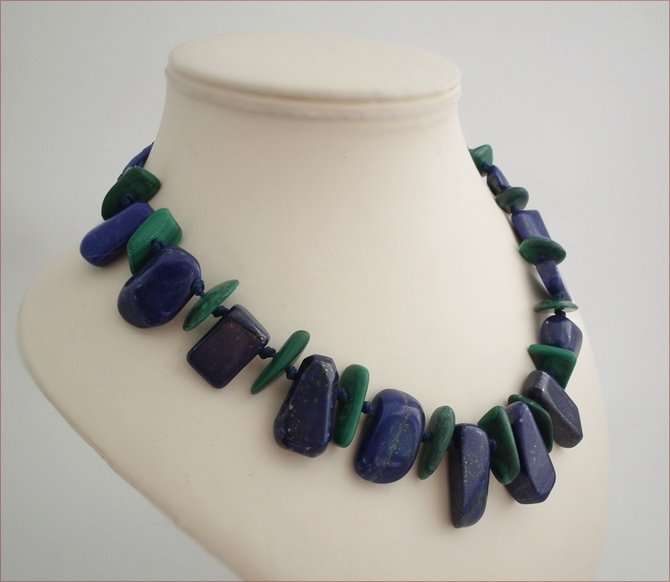 This necklace is 18" (465mm) long. Wear it - all the time!